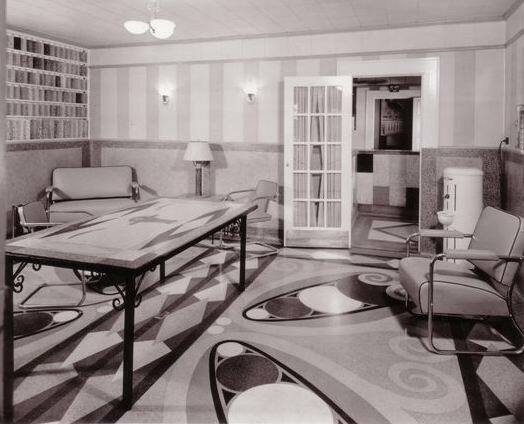 The Venice Art Terrazzo Co., Inc. of San Antonio was organized in the early 1930′s. It was originally formed as a branch office to Venice Art Marble Company of Minnesota. Mr. John M. Di Filippo was sent to San Antonio,Texas during the 1920s to open the office. The new branch started with a warehouse on Perez St., then later moved to133 Ellis Bean St. The business continued to grow steadily and was eventually purchased by Mr. Di Filippo. The company was incorporated on April 23rd 1934. The new Venice stayed at Ellis Bean Street for one year before moving to La Chapelle Street. Then in 1937 the company acquired two blocks of land at the corner of Caldwell and Naylor streets, on which a new plant was built. The plant was equipped to do virtually every kind of Terrazzo work in the finest colors. Terrazzo is not only enduring, but also one of the most beautiful of all flooring products. It has been used in many of the oldest and most celebrated buildings of the Old World, as well as in many of the most modern and beautiful edifices of the present times. The popularity of this enduring and beautiful product, terrazzo, grew as a result of the rapid growth in the construction industry. The construction business and industry in general grew through improvements in production capabilities. With this growth, the need for thin strong floors arose as well as many chemical resistant and water proof systems. Once again the Venice Art Terrazzo Co. repositioned itself to better serve this market by incorporating in its product line a thin-set or resinous terrazzo system along with an industrial flooring line. The company operates throughout the Southwest region of the United States, providing quality Terrazzo flooring installations as well as specialty flooring systems of various types, primarily as commercial construction projects. Today the company is in its fourth generation of the Di Filippo family and continues its long history of commitment to quality and has been able to expand its product line to offer a diverse number of flooring systems.